Green energy provide offers free, impartial advice to householders on all aspects of energy efficiency. We work closely with all the local authorities in our region to help cut the amount of energy used in our homes and to reduce CO2 emissions. Most local authorities provide grants and offers for residents to install energy efficiency measures in their homes; to find out what’s available in your area . We offer free impartial advice on energy efficiency within the home. See our list of services for more details. Home Energy Check Find out how you can save 20 per cent of your energy use. Grants for home energy improvements. House Advice Energy saving tips for your home. Low energy light bulbs and A rated appliances cost less to run. Home Insulation - Double glazing, loft, wall and pipe insulation can save on heating bills. Central Heating - heating boilers, thermostats and radiator controls provide advice for UK households. While much of the advice may well be relevant to other countries it is not intended for that purpose. The grants, discounts and loans are only available to UK residents. Damp damages building structures and reduces the insulation properties of materials. Check and repair any damaged damp proof coursing. Also check for broken drainage pipes and roof damage, to ensure that leaks don't penetrate the building structure. Provides opportunities for members to publish and present papers. Provides opportunities for members to meet and debate issues locally, nationally and internationally. TECHNOLOGY group VPhase says it hopes for "accelerated growth" this year as revenues rose 65%. Introducing secondary or double-glazing will reduce heat losses, minimise draughts, and may improve comfort for ocupants by reducing noise. This option is perhaps best considered as part of a major refurbishment, as the capital cost of introducing secondary or double-glazing is high and the payback period from energy savings is typically long. At larger premises in particular, large open doors are often required for moving goods or equipment. These are areas where large heat losses can occur between a heated indoor area and the outside. Sometimes, expensive heaters (often known as air-curtains) can be positioned above loading bays or other large doors, giving a curtain of hot air at the boundary area. It makes economic sense to use as much as is possible of the electricity supplied by the installation within the building, in order to minimise grid-imported electricity. This involves concentrating electricity use during daylight hours, and using appliances with low electricity consumption. The Energy Minder Reduces annual boiler maintenance costs The Energy Minder will also give a 25% increase in the productive working life of domestic boilers, The Energy Minder dramatically reduces boiler replacement costs. The power generated would be used to offset the cost of the cities Old Town and Ness Bridge. Local fisherman are concerned about the effect that reopening the hydroelectric damn will have on local fish life. The River Ness will be rerouted through the plants turbines and direct back into the River Ness. 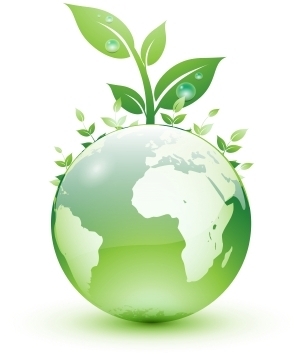 Energy Saving Trust - Energy Efficiency& Energy Conservation to combat Climate Change. Want to install Advanced wind turbine solutions?